"Great on pumpkin bars or cookies." Mix all ingredients thoroughly and spread on cooled bars or cookies. so easy and delicious!! 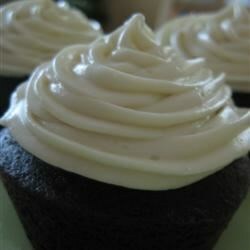 my fave is in on dark chocolate or carrot cake, and a few drops of food coloring is great for cupcakes and holidays! I followed the recipe exactly and had enough to frost a jelly roll pan of banana bars. Excellent frosting! I must say I haven't met a cream cheese frosting I haven't liked. I piped it onto the flag cake and what a showstopper!